MVS USA Inc. has signed an agreement with Iridium Communications that will enable the company to deliver their CertusSM data and voice service using the company's new FLEXX platform. 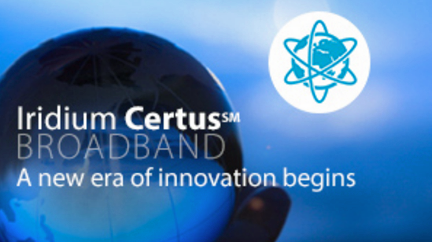 CertusSM is Iridium’s new, secure, worldwide high-speed data network designed to dramatically enhance global satellite service. The service is powered by the new Iridium NEXT constellations of satellites, recently launched by SpaceX. MVS USA’s FLEXX for CertusSM system is built on the company’s proprietary Virtual Distribution Partner (VDP) program that has delivered network, dashboard and billing for direct distribution partners and service providers for over a decade. Developed on the company’s Telecom Infrastructure Network, FLEXX is a secure platform that allows for multiple connections, enabling end users, service providers, and resellers to leverage the full power of Iridium’s new constellation without investing in infrastructure and with minimal cap-ex. The ability to establish secure communications, provide billing solutions, data compression, tracking applications, video conferencing, weather data and more is accessible to users by connecting to FLEXX servers.